Breton may just be of the most exciting acts in indie-rock right now and the fact that the South London quintet will be releasing their second album, ‘War Room Stories’, next week brings us much excitement. Back in November we reviewed the album’s first single, “Envy”. Simply put, “Envy” is indie-rock at its most interesting: choc-full of interesting quirks and effects, math-y rhythms, and a seemingly ever-evolving arrangement, all driven by a high-energy, danceable beat. The track recalled Foals circa ‘Antidotes’, but also hinted at other subtle influences such as Athlete circa ‘Beyond The Neighbourhood’ during the song’s ever-so-catchy, hook-laden chorus. Of their new single “S Four”, which was recorded in London, Berlin and Macedonia last summer, the band have said it’s one of their personal favourites off the new record. After just a couple of spins, we can see why. “S Four” sounds absolutely massive with a production that simply glistens. The song is electronic by nature with its glitchy beats and choppy staccato strings, later accompanied by a fat, buzzing synth-bass. Continuing to keep us guessing their every move, on “S Four” Breton reveal some new wave-like synth melodies, which play a key role in the evolution of the track particular during its incredibly catchy chorus. The layered vocals, meanwhile, are understated however the melodies are deceptively catchy. Cliched this is not. 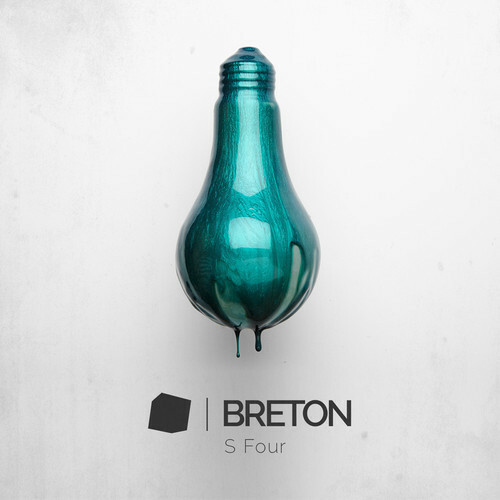 On “S Four” Breton, once again, display their knack for sculpting peculiar arrangements. After the song’s first chorus, it then moves into a atmospheric synth-driven bridge for the next 60 seconds before leading back into the song’s ever catchy chorus. This thing just keeps unraveling, twisting and turning, with layer upon layer being added to the sound. Production aside however, underneath it all is a solid indie-rock song most likely to appeal to fans of Foals and in particular their ‘Holy Fire’ record of last year (read our review). The album ‘War Room Stories’ featuring “S Four” will be released on 3 February, 2014 through Believe Recordings.